We welcome Dr. Penny Brandt to Feminist in the Concert Hall! She is a musicologist who recently completed a Ph.D. Dissertation on composer Elsa Olivieri Sangiacomo Respighi, and who is known for her leadership role with the Hartford Festival of Women Composers. This past weekend, I attended the annual meetings of the American Musicological Society and the Society for Music Theory, which were held together at the Grand Hyatt Hotel in downtown San Antonio. Significant changes have been made over the last few years in order to improve access to and inclusion at the conference, both in terms of structure and content. For instance, SMT provided a kids’ corner and a breast-feeding area to accommodate parents. Several sessions were live-streamed, and at least one included an off-site speaker. The only positive thing that can be said about the current political climate in the United States is that it has made many keenly aware of the ways that institutions—including our universities and AMS itself—reinforce and recreate systemic bias and discrimination. A collective desire for change palpable, and it came through in many of the talks. I heard a number of speakers encourage other attendees to “cite black women,” and there were others who talked about the important work being done in the Global South by musicians and musicologists who understand the effects of colonization from the side of the oppressed. The AMS Committee on Women and Gender presented its second annual endowed lecture. (The inaugural lecture was given in 2017 by Susan McClary.) This year, Bonnie Gordon spoke about “Feminist Noise,” in which she used the example of author and anthropologist Zora Neale Hurston to encourage us to embrace new and unique tactics, including those that are successful outside of the academy, in order to allow “feminist noise” to resonate through our institutions. These moves toward inclusion and accessibility—particularly for women—are good steps for AMS, but at times rang hollow for me. Our annual meeting remains inaccessible to many underemployed scholars. I have skipped meetings in the past when I couldn’t afford the cost of a plane ticket. This year, my spouse and I were able to drive to the meeting, but since we both wanted to attend, we had to bring our toddler. The Grand Hyatt Hotel in San Antonio was out of our price range. I found a discounted hotel room (on priceline or hotels dot com) that was under a mile away, along the River Walk. It was easier to walk than to deal with parking, and the River Walk was certainly a nice place for the long walk. I spoke to other attendees who shared AirBnB rooms, and I found myself wondering about the perspectives that were absent from our meeting simply because of the costs involved in attending. The $200 per night (plus tax, plus parking or airport transportation) cost for a room at the Grand Hyatt more or less limits attendance to faculty whose institution covers travel costs. The solutions my colleagues and I found would not have worked for anyone who has trouble walking long distances. Luckily for me, with so much time on the River Walk, I was able to thoroughly contemplate the distance between our goals for inclusiveness and the relative inaccessibility of our annual meeting, as well as the disparity between our haves (the tenured) and have-nots (those who will never be tenured). I began looking for ways to quantify our advancements in order to create goals for the future. Eventually, I settled on the Bechdel test . 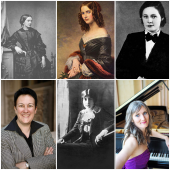 It seems to me that the absence of women composers from our publications (and classrooms) is directly related to the ways in which we continue to exclude women from the academy. This is not to say that simply increasing the number of women in our departments would magically force us to include more music by women, but rather that it is the undervaluing of women that creates both situations. Research tells us that women—particularly women of color—continue to be underrepresented in the academy at the tenured/tenure-track level, that they are overrepresented as adjuncts, and that they continue to face bias and systemic barriers at every level of their careers. We know that women are underrepresented as researchers and presenters in most fields, even as they are overrepresented as graduate students and instructors. But I wanted to determine the status of women in musicology as subjects. And so, I counted the names of women composers in presentation titles and also the names of people of other genders in the titles. Just like the famous Bechdel test for female presence in films, my method does not tell us anything about the quality of the presentations or of the conference in general. 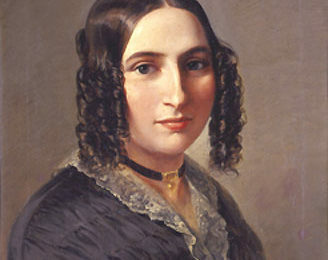 It is possible, of course, that women composers whose names were not in presentation titles were mentioned, but it is even more likely that there were men composers whose names were mentioned. Recent looks at the data by the WPA (along with many other organizations) have shown that only 2% of the music performed in the combined seasons of the major orchestras in the United States is by women composers—a number that increases to 15% when only living composers are taken into consideration. How would AMS compare to these numbers? Well, AMS is performing slightly better. As you can see in my list, I counted each instance that a composer’s name appeared, so Ludwig Van Beethoven’s three appearances counted as three, and Fanny Hensel’s ten counted as ten. I wasn’t familiar with all of the names listed, and I consulted a combination of sources (including Wikipedia, as it often contains information on women composers unavailable in Grove) in order to confirm that each of these people were composers. I included everyone who composed. Heinrich Schenker and Margaret Glyn were both included as composers although they were discussed as theorists. As far as I know, the only openly queer composer in the titles was Mykki Blanco, which is the stage name of Michael David Quattlebaum, Jr. The lack of representation of transgender folks in titles similarly echoes institutional discrimination and lack of representation in performance arenas. What strikes me about the list that I made, apart from the disparity in numbers, is that the lists of men and women composers are both quite varied. They include historical and living composers, traditional, popular, and experimental styles, a range of ethnicities and backgrounds, obscure and well-known names. Looking at the list of men composers, it would be difficult to make the argument that any woman composer is too obscure to be included at the conference. 17% may be higher than what we see in mainstream orchestra performances, but it is unacceptable for a conference of musicologists. How many abstracts that included women composers who have never been discussed at AMS have been rejected? Surely some of them were worth including for the sheer sake of expanding the knowledge of our discipline. 2018 was a significant year for Thea Musgrave, Joan Tower, and Lili Boulanger—where are their advocates? 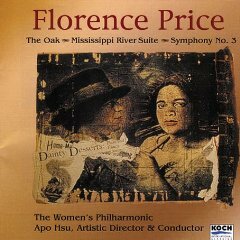 Who is studying the music by Florence Price that was recently re-discovered? 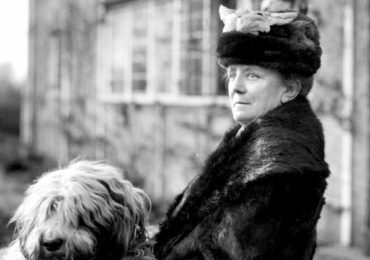 These composers were not represented because our collective devaluation of music by women discourages scholars from studying them, and it also ensures that those who do will always struggle to have their work included. If we ask ourselves as AMS members, “Where are all the great women composers in our meeting?” and our collective answer is “There just aren’t enough of them to create a balanced conference,” or “We are already doing a great job of discussing women composers; see how many we included!” then we are falling victim to the same practices and biases that have created and perpetuated inequality in our field. Still, now, today, in 2018, men are more likely to get tenure track positions than women, even when their qualifications are similar. Men are more likely to be promoted than women. Men still make more money. We can (and should) take pride in the movements we have made toward equality, but let us not be fooled into thinking that we have solved these problems. I also attended a Workplace Harassment workshop led by Breall Baccus from UT-Austin. Baccus gave a fantastic presentation that went far beyond the usual discussions of “quid-pro-quo” style harassment and into nuanced considerations of how hostile work environments can develop when co-workers engage in romantic relationships—even if the relationships are consensual—and ways in which we may all be complicit in minimizing and ignoring low-level bad behavior due to a professor’s talent or seniority, and also the ways in which we might be asking marginalized folks in our departments to perform unpaid and unrecognized labor, particularly emotional labor. Baccus was a dynamic speaker, with thoughtful, practical advice. Unfortunately, the workshop was poorly attended. The number of empty chairs in the room made a striking statement about our discipline’s (lack of) commitment to ensuring a welcoming environment for everyone. Because we were a small group, several of the women shared their own stories of harassment. As their trauma and lingering pain filled the room, I wondered how many brilliant papers were missing from our annual meeting because their authors could not stand to spend one more day in a toxic environment. I hate to end on such a dismal note, although I have been haunted by that last thought ever since the conference. So, I will note that the AMS meeting would pass the actual Bechdel test, which requires a film to have two women characters who speak to each other about something other than a man. Everywhere I looked, there were women encouraging each other and mentoring each other. Sure, sometimes their discussions included a dead white man, but not always. Our Study Groups continue to offer safe spaces to discuss the complexities of inclusion and accessibility from many different angles, and those discussions are also leaking out into mainstream sessions. While there is still much work to be done, at least some is being accomplished.